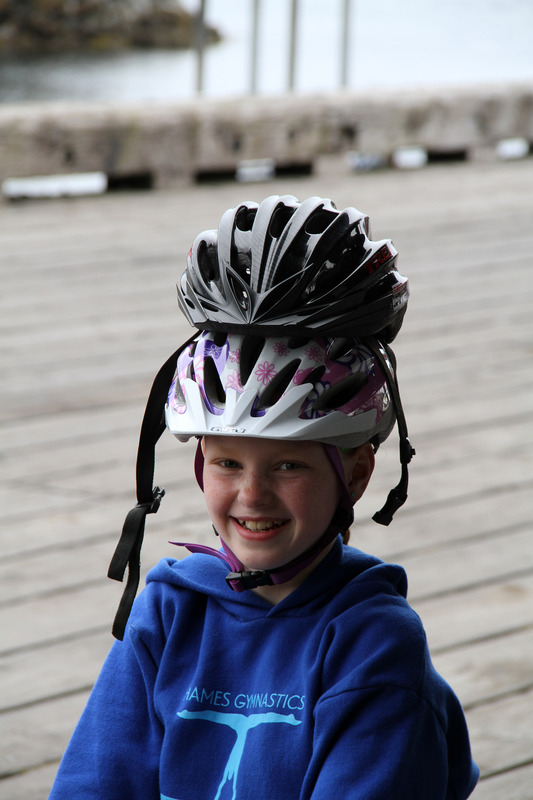 TWICE AS SAFE: Darby Osborne wears two helmets before a Sitka Community Bike Ride event several years ago. 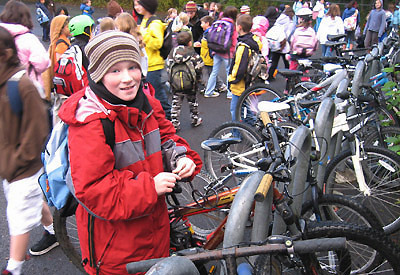 Thursday, June 1, was the 13th anniversary of Sitka’s youth bicycle ordinance, and it’s a good time to remind parents that their children younger than age 18 are required to wear helmets when biking, skateboarding, inline skating, riding a scooter, or using any other similar vehicle in Sitka. If a child is caught riding without a helmet often enough, the parents will start receiving fines. According to the Center for Head Injury Services, 85 percent of all head injuries in bicycle wrecks can be prevented by wearing helmets, and about 75 percent of bicyclists who die after being in a wreck die from head injuries. The lifetime cost of a severe head injury can exceed $4 million. Considering most helmets cost between $10-$50, that’s a cheap investment for injury prevention. 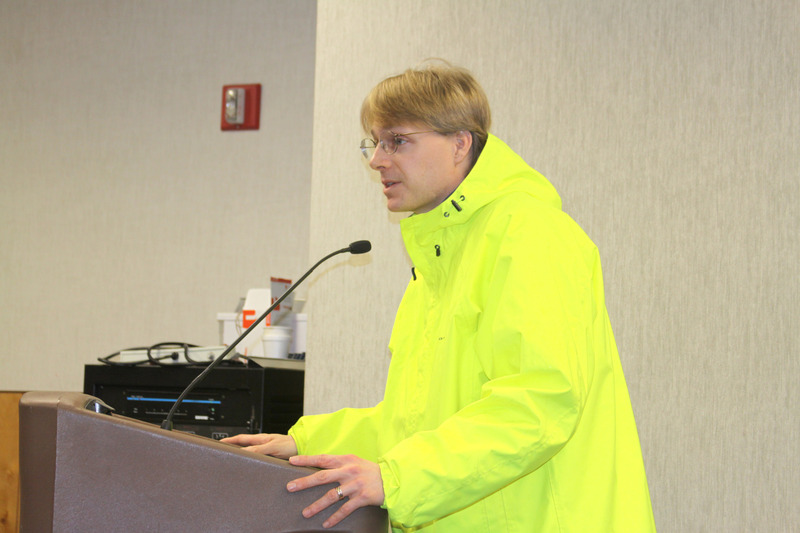 Sitka was one of the first Alaska communities to adopt a youth helmet ordinance, and Sitka’s ordinance has been used as a statewide model by the Alaska Department of Health and Social Services. 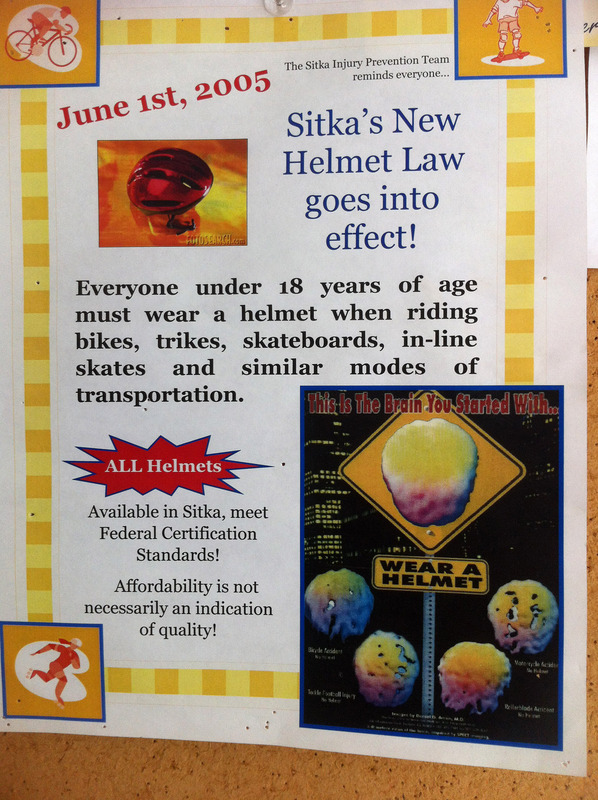 Here’s the text of Sitka’s youth helmet ordinance. A reminder about bicycle helmets is they are designed for one major impact only and should be replaced after a wreck. The helmet may still look OK, but bike helmets are designed similar to a car fender, where it crumbles to absorb the impact of the blow (so your head doesn’t crumble). You also need to make sure the helmet you use is correct for your activity (for example, a BMX helmet is different than a standard bike helmet). Click this link, https://helmets.org/fit.htm, to learn how to properly fit a bicycle helmet. 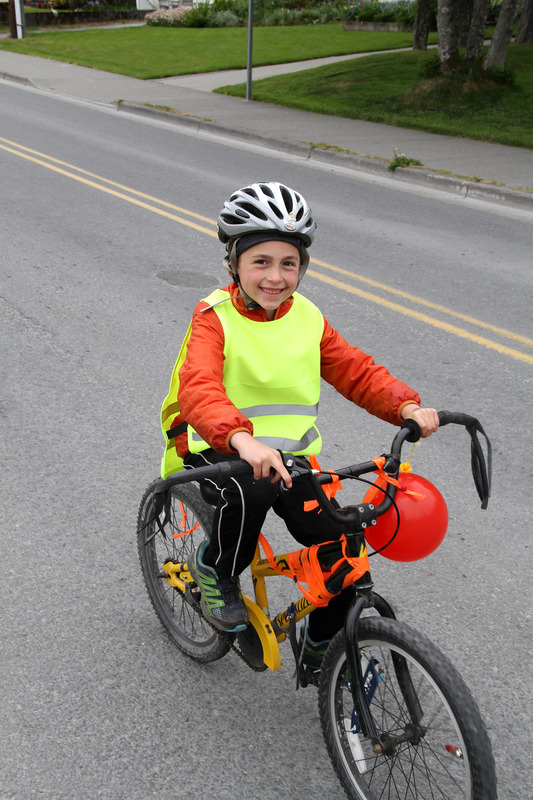 Bicycle helmets can be purchased from several locations in town, including Yellow Jersey Cycle Shop, AC/Lakeside Grocery, True Value, Sea Mart, and even the White E thrift shop. 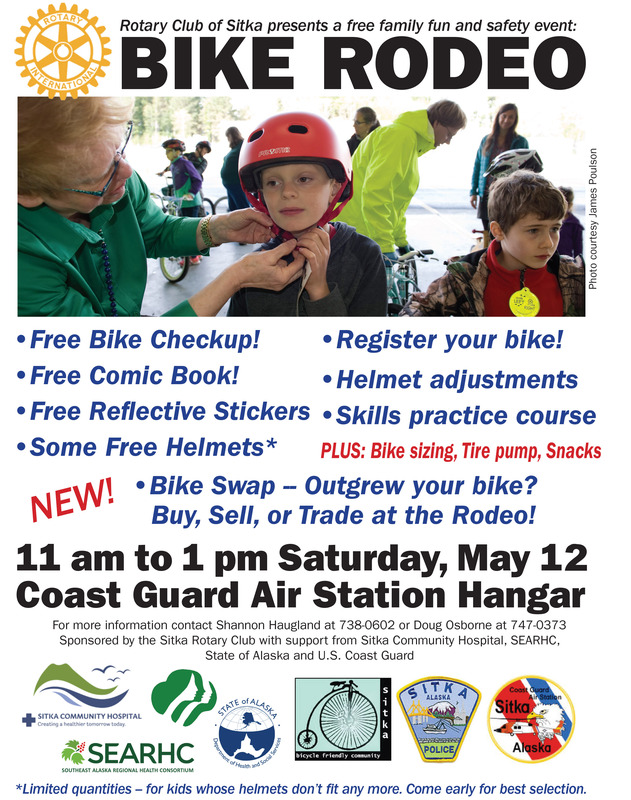 The Sitka Community Bike Ride is the perfect way to celebrate the spring and National Bike Month in May. 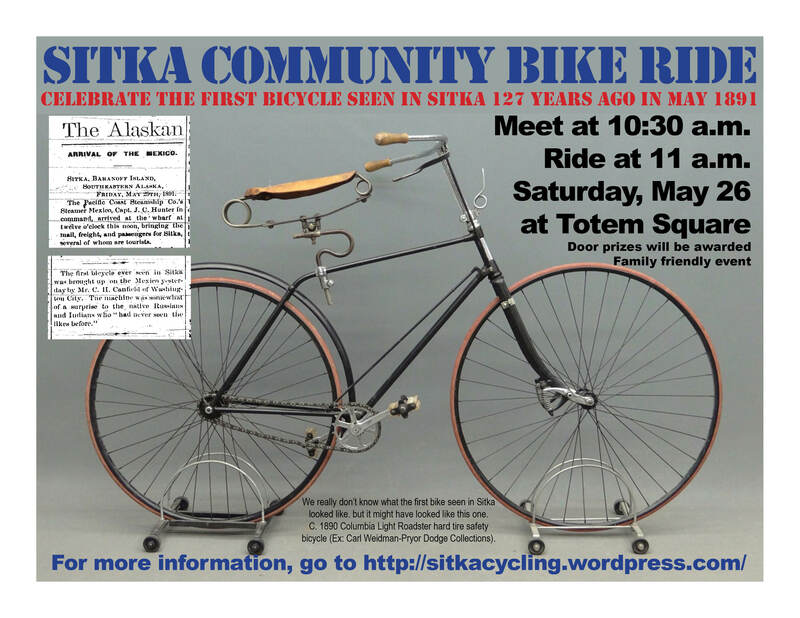 It also is a chance to celebrate the 127th anniversary of the first bike seen in Sitka, which arrived in May 28, 1891, on the cruiser Mexico. 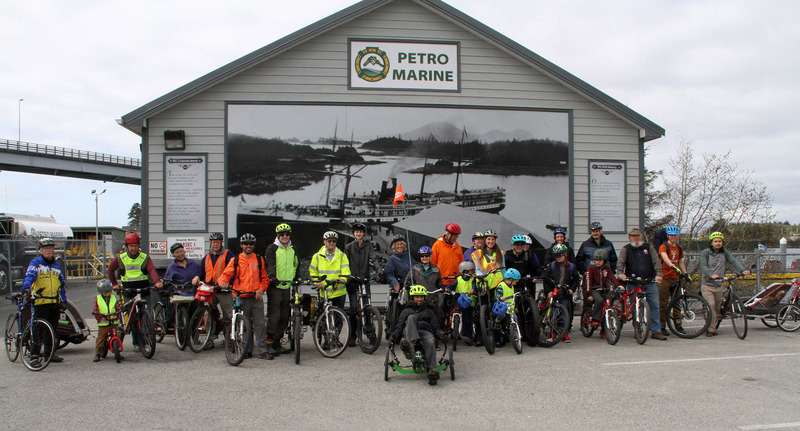 Join us on Saturday, May 26, at Totem Square (near the Petro Marine dock, where the Mexico likely docked) as we host a short kid-friendly bike parade through downtown starting at 11 a.m. (get there early for quick bike tune-up and door prize drawing). Riders are encouraged to bring classic and unusual bikes, if you have them. We hope to have a bike stand and mechanic on hand to assist cyclists from 10:30 a.m. at Totem Square. People will be able to check chains, brakes, tire pressure and other minor maintenance needs, but won’t be able to do major repairs. We also hope someone will be available to help check bike helmet fits. Since we will be on busy city streets for this event, we encourage everybody to wear helmets and bright clothing for safety reasons. 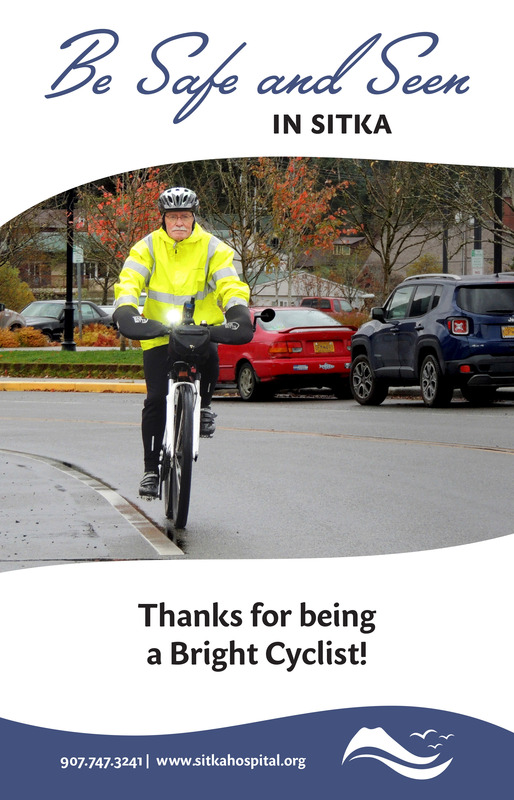 All cyclists should ride on the right side of the road (with traffic) and ride in a predictable manner. We ask drivers to be aware there will be a lot of cyclists out on May 26 and to please slow down and give them a safe space to ride. Thanks. 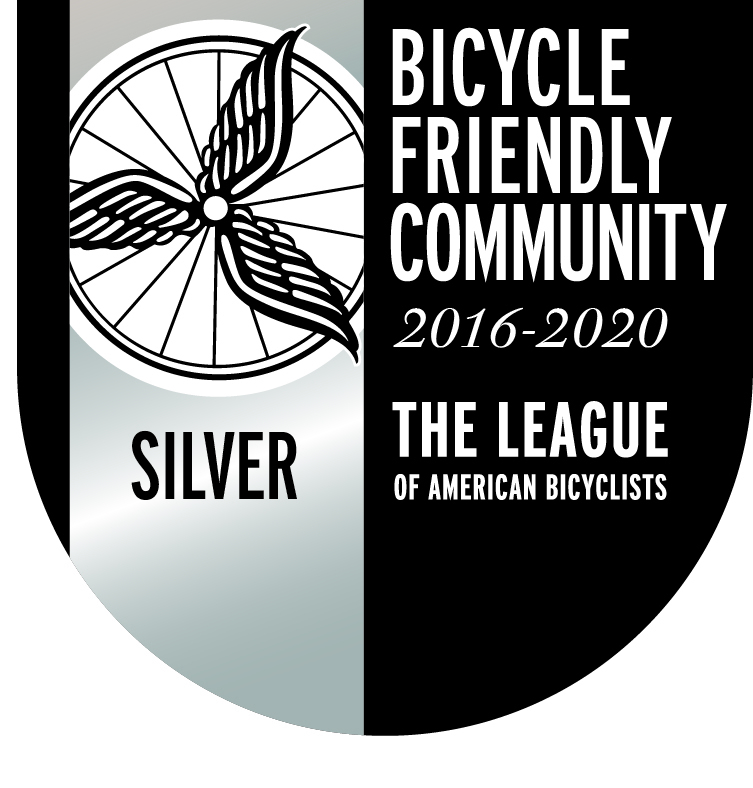 We held a community bike ride a few years ago that had about 300-350 cyclists, so let’s see if we can top that crowd. We had a smaller crew at our community bike rides the last couple of years, but it’s still lots of fun. 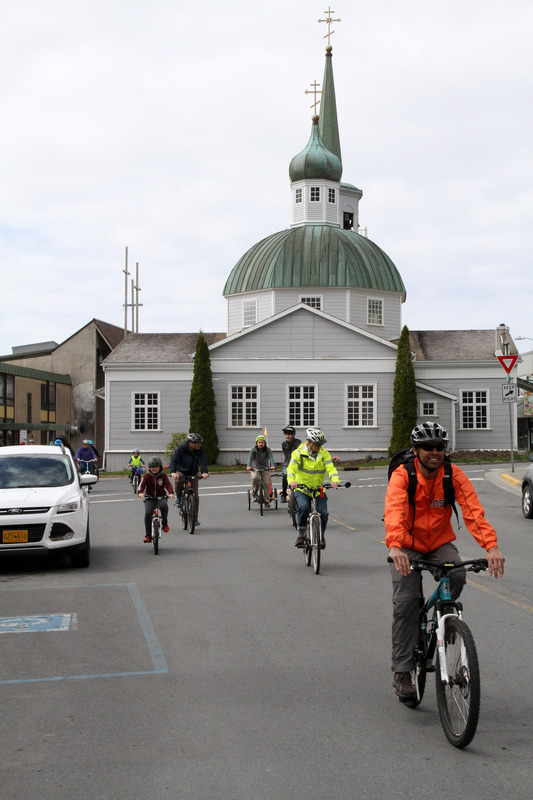 Sitka cyclists are encouraged to join with thousands of others from around the country as they ride in the seventh annual National Bike Challenge, a free event that runs from May 1 through Sept. 30. This year’s prizes include a trip to New Zealand, a trip to the Grand Canyon, a $1,000 voucher from your local bike store, a $250 voucher from your local bike store, a set of monkey lights, a set of lane lights, and a variety of other bike gear. Cyclists can ride as individuals, for their workplaces or on other teams, and the mileage they log also will help their cities and states in the rankings. This event launched in 2012, but some changes the last few years make it easier for people to participate. The challenge was extended a month a couple of years ago, so it now is five months long and covers the entire summer. 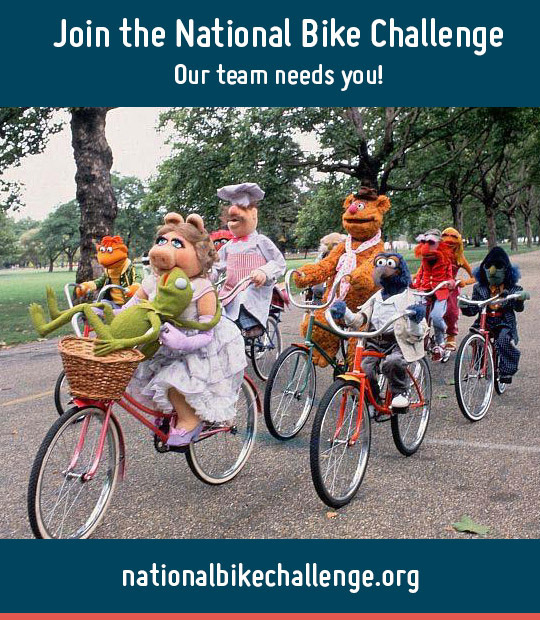 During the 2016 National Bike Challenge, 45,982 cyclists rode 24,749,196 miles. Participants can record the miles of their commute to work, as well as logging their various errands around town and pleasure rides, just so long as they ride an actual bike outdoors. It doesn’t count if people use machines or trainers. It’s easy to participate. Just go to the website, create a profile and log in your miles. You also can join teams from the website. For those of you with smartphones, you can create a profile on Strava and the app’s global-positioning system tracking will record your workouts directly into your National Bike Challenge profile. If you don’t use Strava, you can use one of a variety of apps, such as Ride Report or Map My Ride, to automatically record your ride. 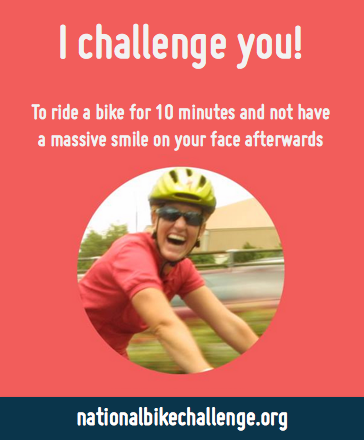 For each day you ride, you receive 20 points plus one point for each mile ridden. 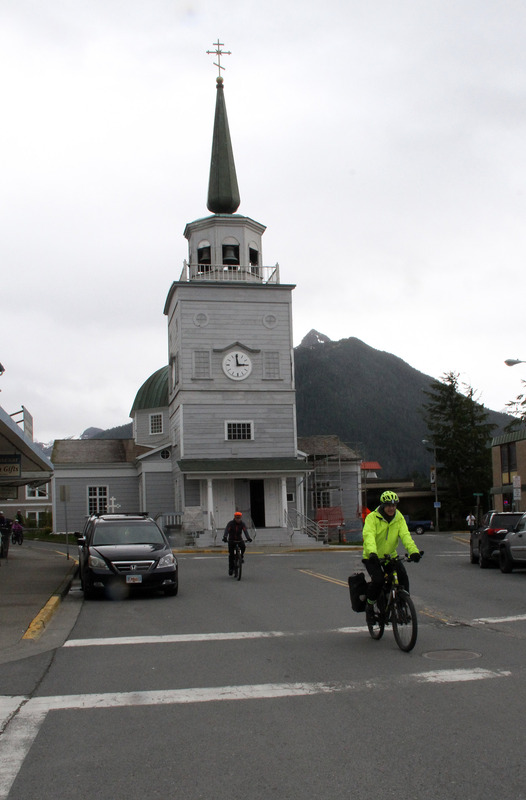 There already are several teams in Alaska, including one called Sitka Cyclists that Sitka residents can join. In previous years we also had a couple of workplace teams, including teams from the SouthEast Alaska Regional Health Consortium (SEARHC) and the University of Alaska Southeast Sitka Campus. Due to some recent changes to the program and website, the old workplace team pages aren’t available so someone will have to create new ones. We encourage Sitka teams to participate so we can get a little friendly competition going. For those who miss the May 1 start date, if you’ve been riding you can back-record your workouts so long as you create a profile before the end of May. 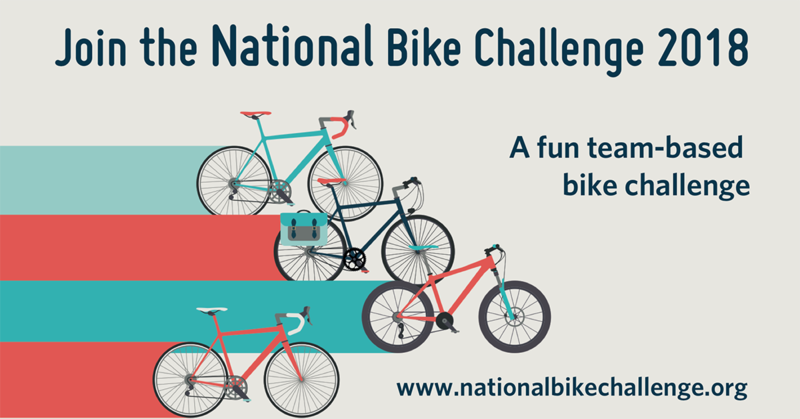 There are monthly prizes (awarded by random draw to cyclists nationwide who score at least 100 points in the month), and additional prizes at the end of the contest.